Why is it so difficult to buy a Handpan? It is difficult to buy a handpan (pantam) because they are hand-made and cannot be massed produced. Plus, very few people have mastered the skills necessary to make a quality or a top shelf handpan. The same thing can be said of PANArt’s Hang®. However, it is easy to get your hands on a handpan of lesser quality. It might be all you need. How Much Do Handpans Cost? Quality handpans and Hang® (i.e. nitrided with stable architecture) cost between $2,000 to $10,000. A good one bought direct from a maker will cost $2,000 to $3,500. Although rare, used top-shelf handpans have sold for as much as $10,000. Don’t be fooled, price is not always an indicator of quality. The market has grown tremendously since the early days. There are many sub-par instruments. If you are patient (or feeling lucky) try to buy a handpan directly from a maker. Some of the builders (or makers) have lotteries that give you a fighting chance to buy one; others have first come first serve list where the wait can be years, etc… Some even have flash sales on their websites. You can buy a handpan–a good one–you just need some patients and determination. Each brand is different in terms of attitude, materials, tuning techniques and method of distribution. Each has something unique to offer. PANArt Hang®, http://panart.ch: Made by Felix Rohner and Sabina Schärer. PANArt retired the Hang® (aka hang drum). It is no longer in production. Your only chance to buy a Hang® is through the secondhand market. Aciel – France, Facebook page: by Michael Colley and Jimmy James. They often have “flash sales” where you can get an instrument without a waiting period. Bellart Bells – Spain, www.Bellart.es: Made by Luis Eguiguren. CFoulke – USA, http://www.cfoulke.com/ My favorite maker. Hands down the best in my opinion. ESS AsaChan – Switzerland, ESS Youtube Channel: Made by Ezahn in Switzerland. The AsaChan has a double yellow ring around the central dome. Pantheon Steel Halo – USA, www.PantheonSteel.com: Made by Kyle Cox and Jim Dusin. Pantheon Steel has over 10,000 people on their waiting list. They have a unique lottery system that allows even the newest signups a chance to get a Halo handpan. TerraPan – USA, http://terratonz.com/: My favorite for size and scales offered. Formally endorsed by Daniel Waples. Founder CR PanMan is making strides. Saraz – USA, www.SarazHandpan.com: Another favorite for scales offered. I love their D-minors and D Dorian/A minors. Also, the maker is a perfectionist and an all around great guy. Made by Marc Garnier. “SPB” – Russia: Made by Victor Levinson. The SPB is considered one of the best sound sculptures available. He uses the term pantam as a way to describe a high quality instrument with certain sound characteristics. There are many up and coming makers out there. Some good, some not so good. If you are rich, or managed to squirrel away a stack of money, you can try to find a used top quality handpan. Yes, top quality used ones can sell for more than buying it new from a maker (but there is no wait). Top quality instruments are occasionally found on eBay. Those sellers are almost always selling used—often at a cost above retail. 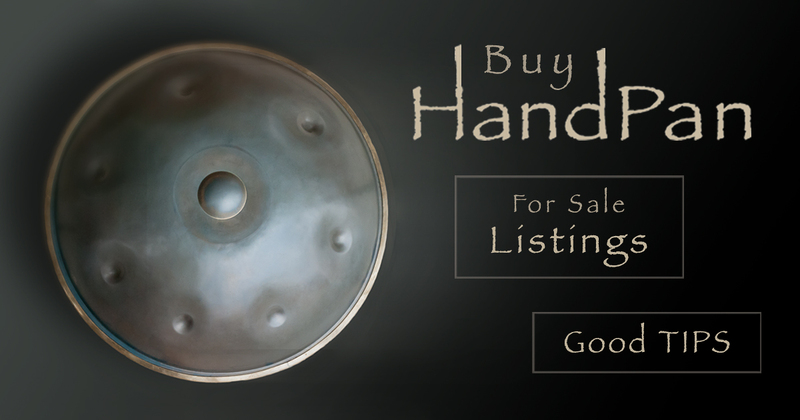 The Handpan for Sale Facebook Page list eBay auctions and is updated daily. Low price and less waiting usually means lesser quality. And, you may be completely satisfied with one. After all, many professional musicians produce fine music without top of the line gear. Watch out for eBay scammers plotting to take advantage of your naivety. Notes make up a scale. Usually the scale is made so that any tone field can be played, in any order, without sounding bad. This is great for jamming solo. To jam with other instruments, you’ll want the other instrument to use a compatible scale. Your next big search is for a protective handpan case or bag. Check out this post on EvateK: the world’s best solution for protecting your instrument in everyday situations. If you are getting into this, you might want to visit this article that focuses on accessories for handpan drum. Did you enjoy this article? Share the post by clicking one of the share buttons. *HANG is a trademark registered in the US Patent and Trademark Office. PANArt has publicly stated, “Hang is not a handpan.” Therefore, when writing about this family of instruments, Hang® is always referred to as a separate entity (in this article), divided from generic terms like handpan and pantam. 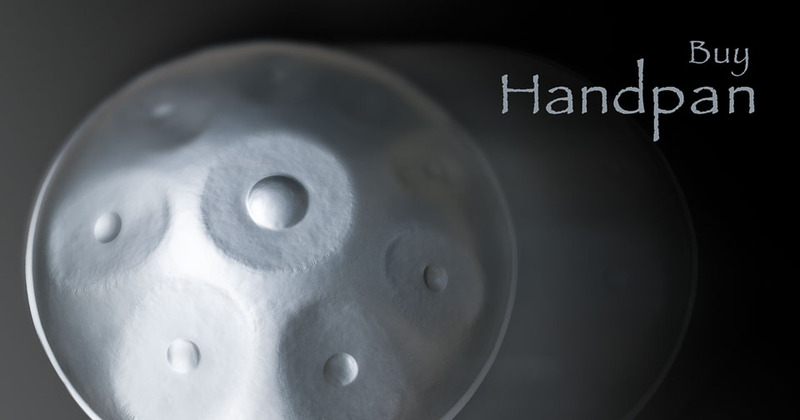 Hang® is not a generic term like handpan. Maybe I will update the article to address this. Usually, handpan scales are made so that any tone field can be played, in any order, without sounding bad. This is great for jamming solo. To jam with other instruments, you’ll want other players to use compatible scales. With other handpans, native American flutes, etc.. you will want to have compatible scales. Wow…had no idea what I was getting myself into! Could you please tell me the price of Hang drum and how can I buy this one? Handpans and Hangs cost $2,000 to $10,000. 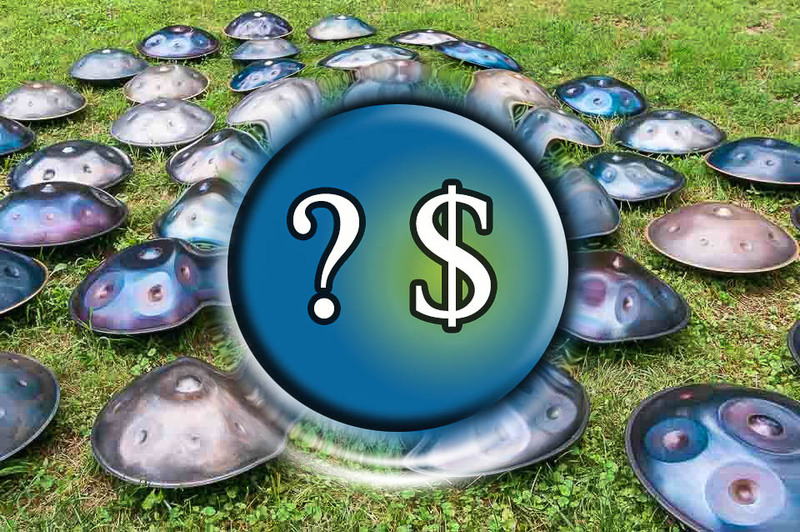 A good one bought direct from a handpan maker will cost $2,000 to $3,500. i am fascinated by the HANG and would love to know where i could get one, and teach myself. Hey Chris. Great article, thank you. I am intrigued by this instrument and would love to start playing however i do not have a couple thousand dollars for just getting started. Join the Pantheon Steel waiting list. Sometimes they give them away for a few hundred dollars via their unique subsidized lottery system. Other than that I would save my money. In the mean time, work on getting on other list. I actually got a steel tongue drum first ($500). Then I got a cheap Bali Steel handpan ($1,200 at the time). Once I won a lottery to get a good one (top shelf), I sold the tongue drum and the bali steel handpan. If I had to do it over, i would just wait until i had enough money for a good one instead of going the inexpensive (and not as good) route. Waiting is the name of the game.